A growing number of e-retailers are setting up a store network as it enhances brand credibility and the overall customer experience. The e-retail industry is booming but several online merchants are increasingly setting up traditional brick-and-mortar stores as part of their expansion strategy. And, that’s because with an omni-channel strategy becoming en vogue, online players are setting up a store network across the county, which would enable them to enhance the overall customer experience as well as reach a wider target audience. It’s no surprise that Myntra, which was recently acquired by Flipkart, plans to set up stores across the country and expand the sale of its private label apparel products. Similarly, e-retailer bewakoof, started by IIT graduates Prabhkiran Singh and Siddharth Munot in ‘12, had recently highlighted that it intends to expand its store network by seven-fold to 200 over the medium term. In addition, plans are on the anvil to expand the distribution network from Mumbai to across the country. Online players in other categories including furniture retailer Pepperfry.com, baby care specialist Firstcry and nutrition and fitness-related Healthkart, are also adopting a similar strategy. Pepperfry.com had recently received funding from Bertelsmann India and Norwest, for realising the above objective. Ambareesh Murty, Co-founder and Chief Executive of Pepperfry, in a recent media interaction, pointed out that they are currently focusing on setting up a store network chain along with a relevant advertising and communication strategy. 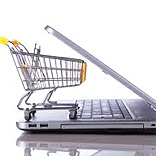 Clearly, e-retailers are realising that long-term success is not just determined, online.